Due to circumstances beyond my control, I have a lot of time on my hands. 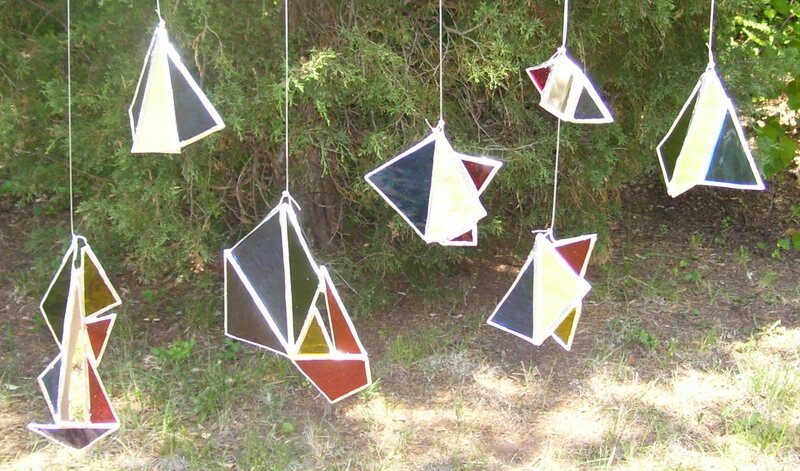 This week, without the usual responsibilities, I had the opportunity to spend a week at Mom and Pop’s Stained Glass Camp. There really is no such place, not that I know of, but it seems a fun way to describe a week visiting family. 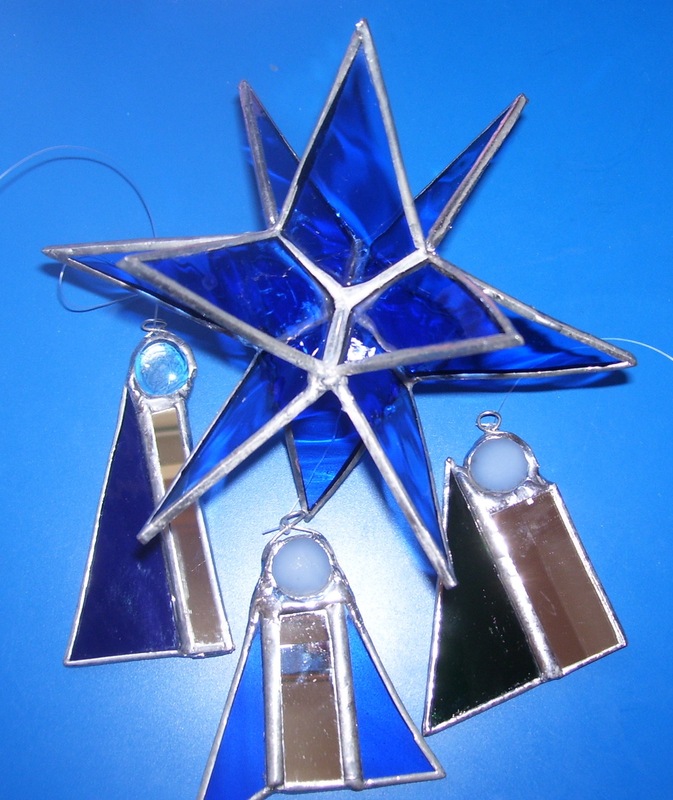 I really had almost nothing to do other than eat, sleep, visit and work on stained glass pieces. …. more photos to come soon! This entry was posted on June 9, 2008 at 10:51 am and is filed under Copper Foil Method, Foiled and Soldered, Glue Chip Glass, Granite Glass, Mirrors, Nuggets, Rainbow Colors, Stained Glass, Stars, Straight Lines and Angles, Suncatchers, Water Glass. You can follow any responses to this entry through the RSS 2.0 feed. You can leave a response, or trackback from your own site.